In this tutorial, we have created a form div with id “form_sample” in our html page. Further, we have included some CSS codes to give proper alignment to form. Simple HTML codes to add form Div. Create object for the form. Set action attribute (post method). Append form fields and set it’s label. // Fetching HTML Elements in Variables by ID. Css coding to give proper alignment to form elements and the complete form itself. And if you have any query regarding the post, you can contact us or put commenst below any time. Hi. I tried the code and the contact box doesn’t appear. I try checking it in the browser and a blank page appears. You can send me your codes once, i will review it! Enquiry form having problem.Client didnot get any enquiry at his personnel email.Can you please give me solution for that. Seems there is nowhere to set the destination email? For email functionality you can refer our following link. Hope it will help you. keep reading our other blogs. You just need to download file and then extract it to some location in your pc. Then open the folder and click on demo.html file to view the form. Hope that might have help you. How can I help you ? Let me know what question do you have ? Please can you tellme where in the Java script doI put my emailaddress so that I get the mail once submitted from the client? Does this work when the site is not launched yet? And for that you need to have a live server that do supports mail sending feature. my actual requirement is ” i want to send form data to email address without using php” like how i am sedning you with the help of this form. How do I create a dynamically expandable form having rows and columns with titles, then insert data into the form from a calculation using a while loop? Thanks for the simple form idea. I am trying to create a form like the one you are suggesting but with six fields per row . Then I want to do do calculations that will be dynamically inserted into each field up to 100 rows or more. Please help and let me know if you want to see the calculations I am doing. where do i put email address where i want to receive fetched data ? how i can make feedback post comment page? Hope it would be helpful to you. 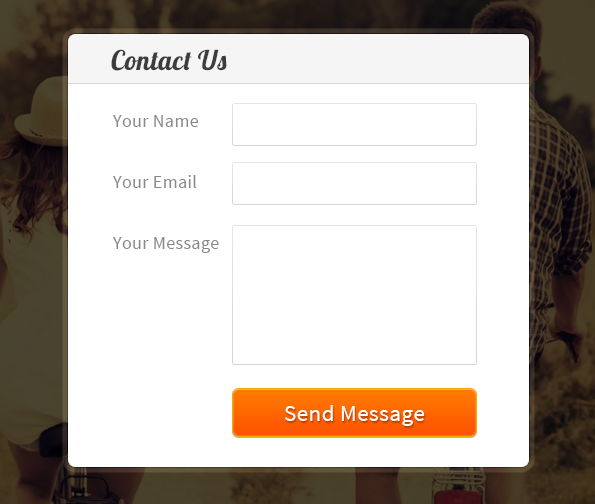 this contact form is not responsive, how we can make it responsive ? Plz share your idea. Where specific form should I get an email that asks ? i have build a page in my website of comments and reply ….like a textbox for name and another textarea for query and after submitting i m displaying that name and query on the same page and after that i want to add reply button to that query and on click reply button i want to show a pop up to fill name and reply and display that reply just below the reply button? nice, but where we add email address on which message will be send ?! I copied all the codes and pasted in my text editor but its showing me blank page. why so? I actually didn’t remove the js linked file that’s why it was not showing the form…. At Submission Button, how do i put the email which information is to be posted to under the .js file.